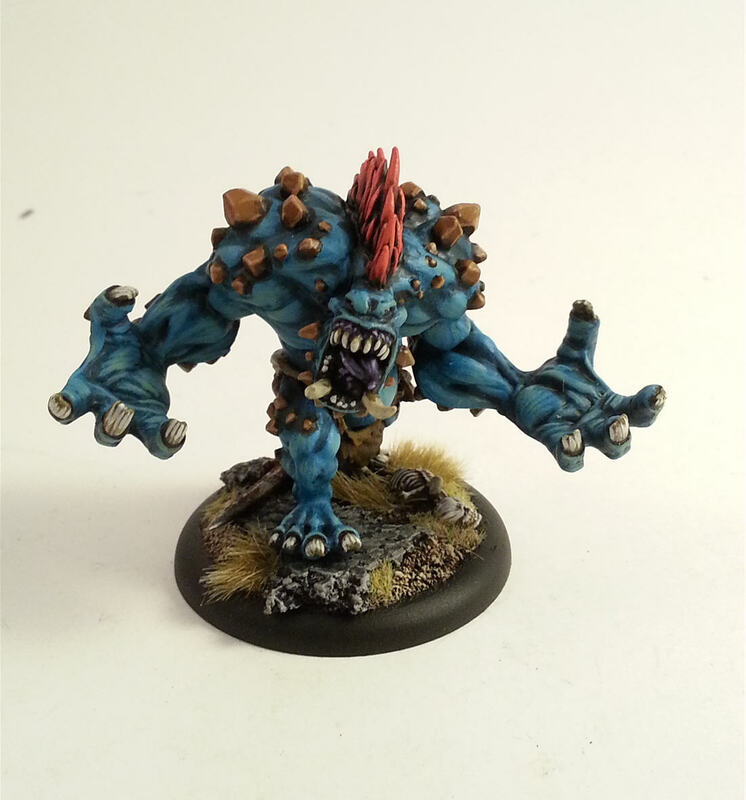 Legio Minimus: Dire Troll Mauler...Complete! I have steadily been plugging away at my trolls and have almost finished all the beasts. I finished this guy earlier this week and I finished the Pyre Troll this morning. 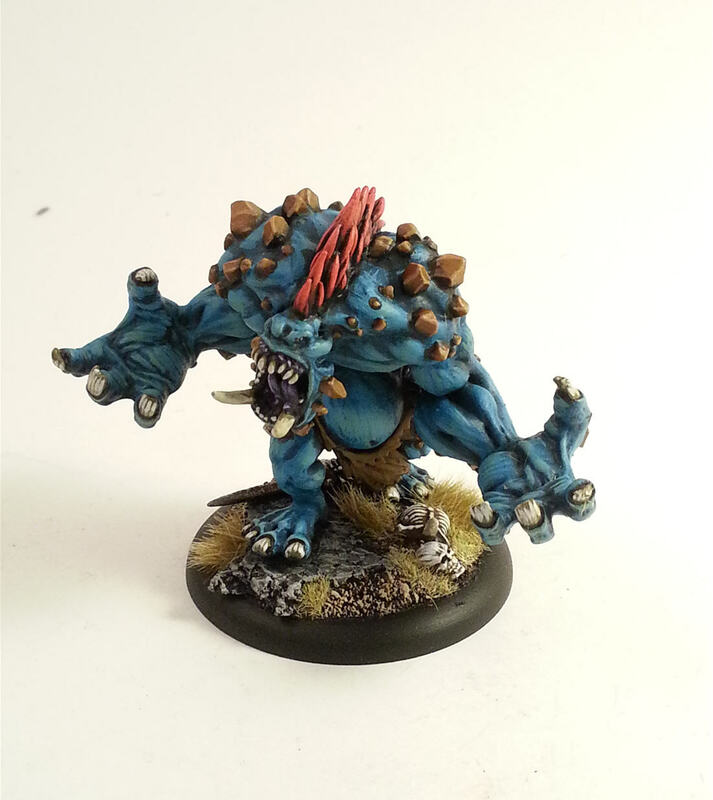 After posting here and on the Privateer Press forum I received a lot of feed back in regards to the base so I went back to the drawing board. I am very happy with the overall result of the Mauler's base and it's what I had hoped the Axer's base (who has since had it changed to look like this) was going to look like. Overall I am actually very pleased with my two recent beasts especially considering each one took roughly 1/4 of the time of the Axer and I feel the overall look, while not as good, is still somewhat close to the point where you would only notice the difference if you picked them both up. 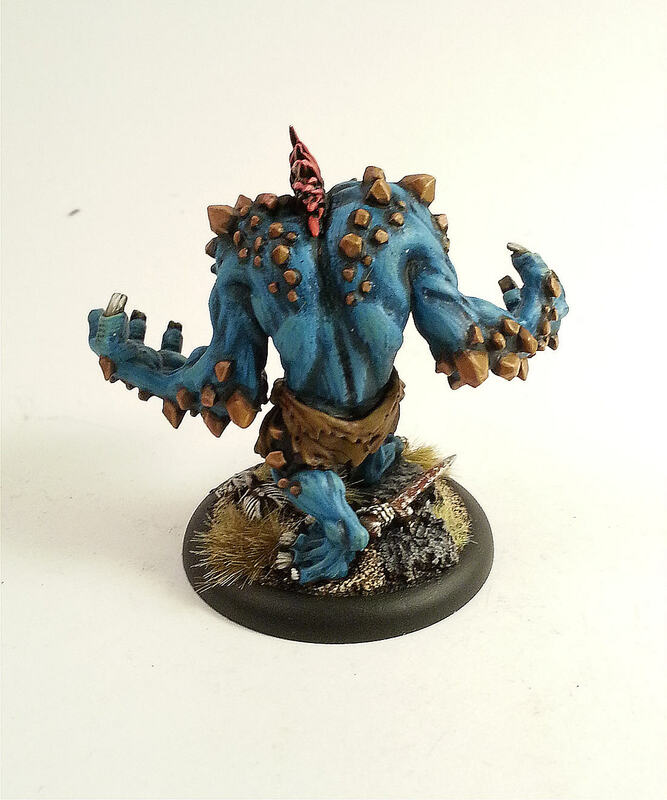 Next Up: As I mentioned above I will be posting my Pyre Troll shortly as well as my first caster (Epic Doomshaper!) then I will be posting a bunch on Eldar including some of the new kits as well as my thoughts on the codex. "I have steadily been plugging away at my trolls". I recommend an elephant gun.